We’re back for 2012. Let’s start the year off with one of the biggest releases of the 16-bit era (and one of the most heavily promoted, too). 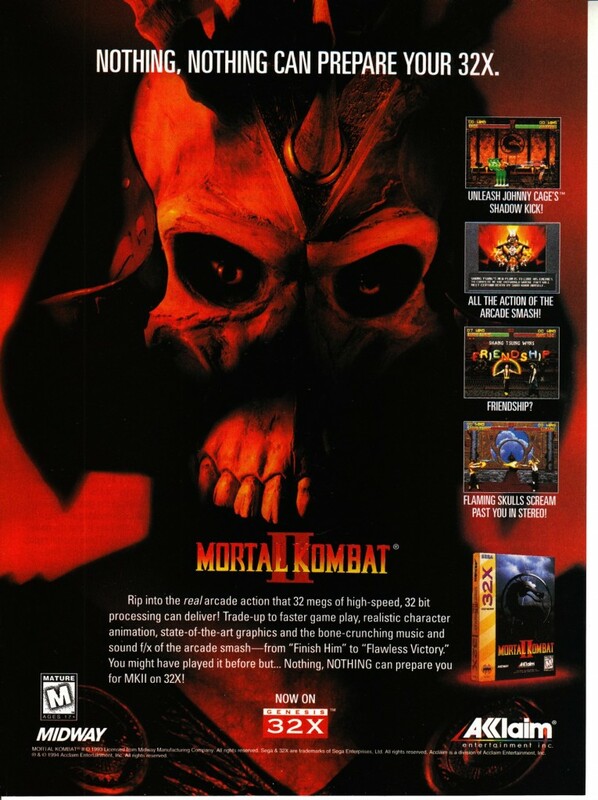 Mortal Kombat II for the 32X came out quite a bit later than the other versions (in part due to the system launching after their release), but boasted improved graphics and sound capabilities over the standard Mega Drive version. Still not a patch on the arcade version, but a competent port nonetheless.